In order to ensure PCI compliance and the security of the data of our clients, we have changed the SSL/TLS settings on our UK based server. 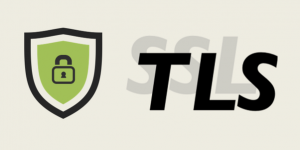 We have updated the SSL/TLS protocol version to allow only TLSv1.2 connections. That means, TLSv1.0 and TLSv1.1 would no longer be supported. This change applies to inbound connections only, e.g. applications connecting to our UK based server to access webpages, collect email, and FTP. Microsoft have previously been slow to update their Office suite with support for TLS greater than v1.0 for versions of Windows earlier than 10. Whilst there is now support built in to Windows 8.1, there is no support in 8.0 and so all users of 8.0 should upgrade to at least Windows 8.1. Windows 7 requires updates to be installed in order to provide TLS 1.1 or greater support (including TLS 1.2 which is now required). Please see this Microsoft support document for details on how to update Windows 7. We are aware that a lot of FTP software vendors have been slow to update their builds. However, FileZilla does support modern security standards. We recommend this FTP client to all our customers. This entry was posted on Friday, July 20th, 2018 at 7:59 am	and is filed under PCI Compliance, SSL/TLS. You can follow any responses to this entry through the RSS 2.0 feed. You can skip to the end and leave a response. Pinging is currently not allowed.